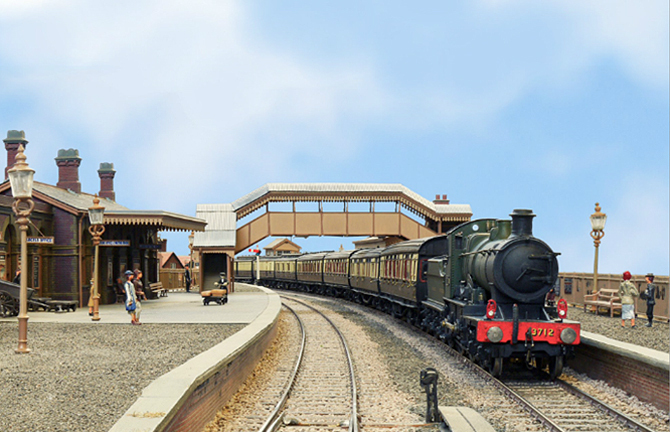 Shipley Model Railway Society founded in 1978, has approximately 50 members and is known both for its high standard of layouts and friendly atmosphere. Our membership include those new to the hobby with perhaps as yet few or no modelling skills to those skilled in one or more of the many aspects of the hobby. DCC control has long been adopted by some members and several layouts have been built using this control method. Shipley MRS is well known to railway modellers throughout the UK through the Societies and members layouts which appear regularly at exhibitions around the UK, through our own annual exhibition held in Shipley in September and via the many articles written each year by our members which appear in the model railway press. Our membership is drawn mainly from towns across Yorkshire including Keighley, Ilkley, Otley, Harrogate, Guiseley, Horsforth, Brighouse and Bradford. Naturally the interests of members are varied. Layout subjects range from Great Britain in the 1920s to the present day, European, American and Canadian. Layouts in the clubrooms at the moment are in 7mm, 4mm (OO and EM gauges) N and Swiss metre gauge. Tuesday We meet every Tuesday evening (except bank holidays) from 7pm to 10pm.